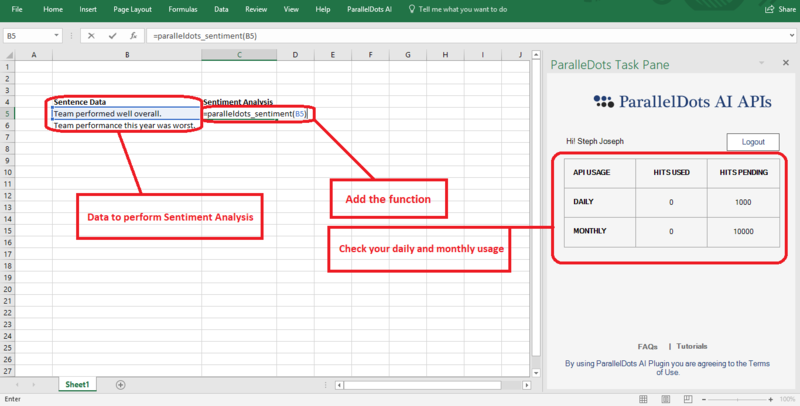 Always Copy and ‘Paste as values’ your results in another column before closing or modifying the file to avoid the formulas running again on your data and delete the formula column. Our Excel Add-in provides the state-of-the-art Natural Language Processing capabilities to your analysis without the need to write code (which you need in case you want to use the APIs). If you already have an API Key, you can directly go to the step 2 and download our plugin and start your text analysis right away. If not, get your free api key. 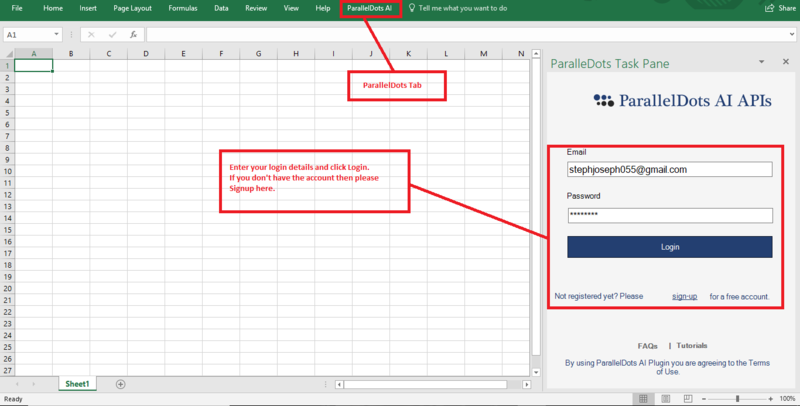 Click to download the Excel Add-in. Close Microsoft Excel if it is running. Double click on the downloaded installation file (ParallelDotsSetup.msi) and follow the on-screen instructions to install the add-in! 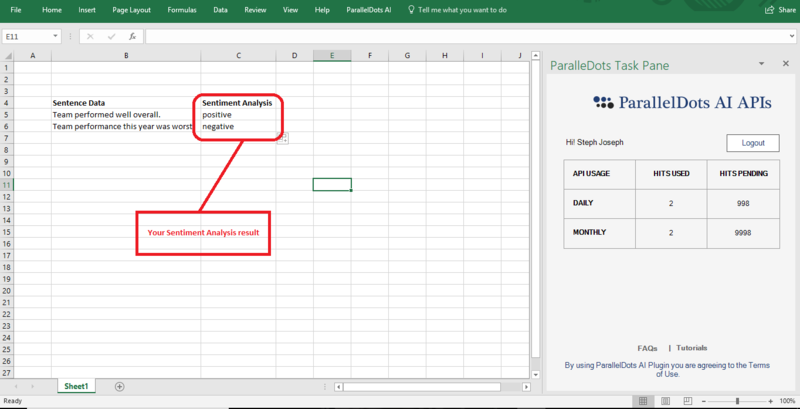 Open your Excel and you will notice ParallelDots tab on the ribbon. In the tab you can find the Show/Hide Pane button. In the pane you can enter your login ID and password and then submit. Voila! you are all set to start your analysis. Our text analysis API can be used in the form of functions (e.g.paralleldots_sentiment for sentiment analysis). Get your data and use the API function to perform the analysis. Here is your text analysis results!